Founded in 1941, just prior to the attack on Pearl Harbor which brought the United States completely into the Second World War, the Civil Air Patrol was originally established as the New Jersey Air Guard. Adopted by the Chief of Civil Defense, NY City Mayor Fiorella LaGuardia, and made part of the national Civil Defense Network, the Civil Air Patrol spent the war doing necessary flying work that the Armed Services were hard pressed to do, being tasked with training and equipping the US Military to destroy the Axis threat. With missions ranging from Submarine Hunting on the East, West and Southern Coasts, to Search and Rescue, Liaison and Courier missions, the Civil Air Patrol distinguished itself, and became the official Auxiliary to the United States Army Air Forces in 1943. Part of their mission was training young high school age people about aeronautics and the military, as preparation to join when they were of age to do so. 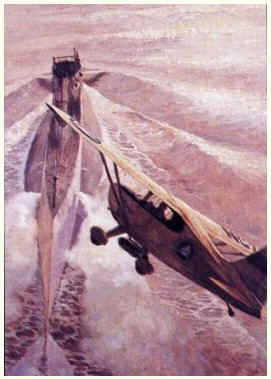 After the war, the Civil Air Patrol continued its Search and Rescue work, as well as the educating of young people. 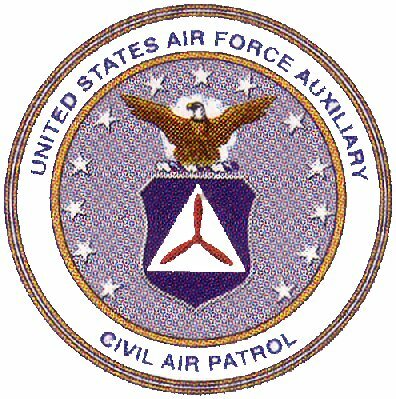 when the USAF became a separate entity in 1947, the Civil Air Patrol remained with them, officially designated as the USAF Auxiliary in 1948. The three primary missions of the Civil Air Patrol are Emergency Services, Cadet Programs and Aerospace Education. Today the Civil Air Patrol, an organization with over 60,000 members, is still educating CAP Cadets in aerospace and technology, and preparing them for careers in the military and aviation. Many of our cadets attend Service Academies and go on to careers defending our country. Others learn about flying and choose to become civilian pilots. Currently, some of the pilots for the USAF Thunderbirds Demonstration Team and the US Navy Blue Angels are former CAP Cadets. Owning the world’s largest fleet of modern Cessna aircraft, the Civil Air Patrol still does Search and Rescue work throughout the country, as well as participating in disaster relief, emergency air transport and other aid. The Air Victory Museum Composite Squadron is made up of Senior Members and Cadets from the Southern New Jersey area, and is based at the Air Victory Museum. Our meeting night is every Thursday at 6:45 pm. Visitors and interested parties are invited to stop in, there is no obligation to do anything other than get an idea of what the Civil Air Patrol is like and enjoy yourself.